killed in an accident involving also the mate of the merchant ship Isis *Thomas ODDY (-1793). 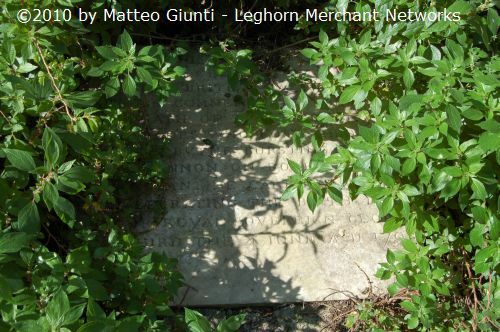 They lie together in the Old English Cemetery of Livorno. – for Admiral Sir Benjamin Hallowell see also Age of Sail Blog. 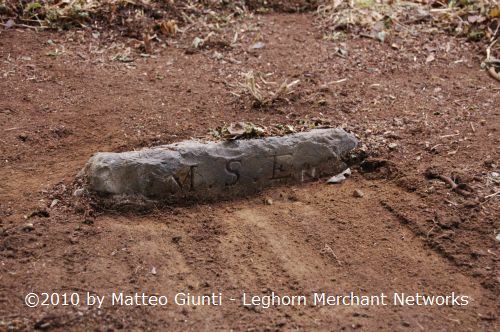 *WHIDBEY Roger (-1795) [captain] – buried in the Old English Cemetery at Livorno. 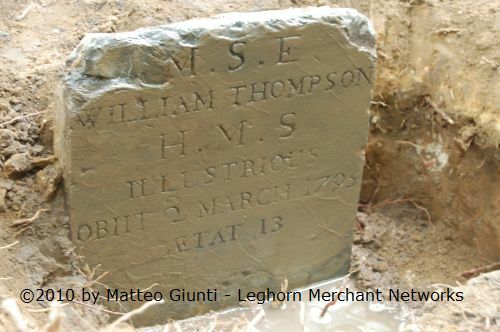 *THOMPSON William (-1795) [boy] – in June 2010 I found his grave in Livorno’s Old English Cemetery completely covered by ground. Thanks Matteo, interesting to find a distant relative on one of these ships. please get in touch directly with me through my email. An excellent project, well done !! Sto leggendo con grande interesse questa “miniera” di dati. Ho notato James Oddy, sepolto insieme a Charles Stewart, risulta nell’elenco delle sepolture come Thomas Oddy. E’ un errore di trascrizione? Si ha ragione, ho fatto un doppio controllo sia sul registro delle iscrizioni, sia sul Chapel Register n.2 e l’errore si annidava nella trascrizione del Chapel Register dove il nome di Oddy e’ stato abbreviato in Th.s ma data la scarsa qualita’ della mia copia, si leggeva Ja.s da cui l’errore James. Grazie. Very important compilation, this record of these forgotten names and lives. Most of these sailors were not interred in the cemetery, but their names waited in the Chapel Register. To-day they recover their story, their Ship’s names, with staff and life. Interesting links. Thank you, Matteo!